Lisa Goldman and Brenda Perkovich stand in the winner's circle with Kyle Perkovich and Tresor Du Perron for the win in the $5,000 SJHOF Junior/Amateur Owner Jumper Classic. 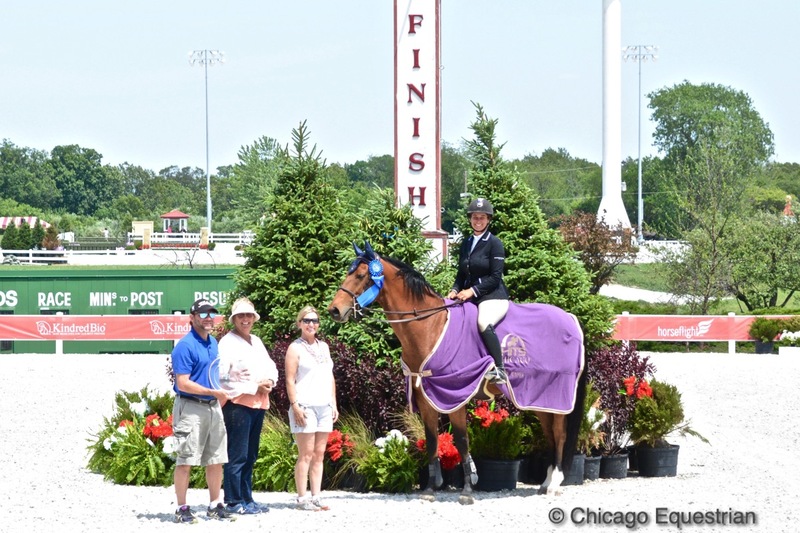 Crete, IL - June 11, 2017 - The Showplace Spring Spectacular I Horse Show wrapped up the grand opening week honoring champions and classic winners at the new HITS Balmoral Park. 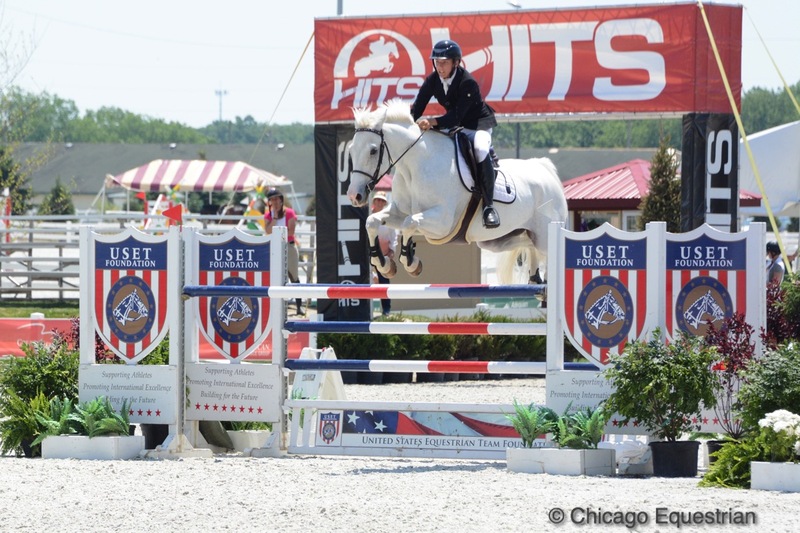 The show series continues for two more weeks and features their traditional Derby Day with the $25,000 USHJA International Hunter Derby presented by Bull Run Farm and the $10,000 USHJA National Hunter Derby presented by Galway Farm. Showplace Productions offers a $50,000 Grand Prix each week along with the popular $150,000 Marshall & Sterling 1.30m Jumper Classic series including bonus awards. 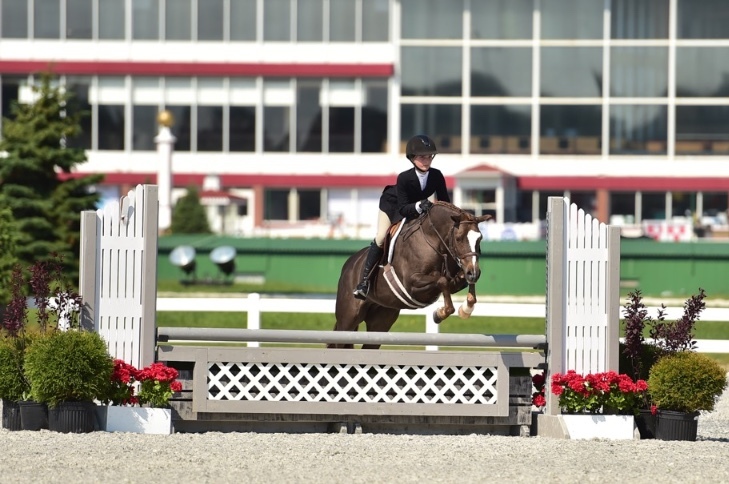 Showplace Productions and HITS have combined to provide a unique horse show venue and classes for all levels of riders from beginner through grand prix. Lisa Goldman and Balavan accept their award with the Dolins Group representative Neil Johnson, trainer Mary Goldman and owner Niki Martin for the win in the $10,000 1.35m Jumper Classic. This week's competition finished with the $10,000 1.35m Jumper Classic sponsored by the Dolins Group. Lisa Goldman and Balavan, owned by Niki Martin, were the fastest double clear in tough competition for the top prize. It was a perfect way to end the week for Martin, a new customer to Red Coat Farm, since Balavan was knocking on the door to win all week. "It's a good horse," said Goldman. " We're just trying to develop our partnership together. He's been trying hard all week." The Dolins Group is a full service CPA firm located in Northbrook, IL. Their mission is to provide proactive tax, accounting and consulting solutions; enabling their clients to receive the best financial and tax advice available. Stop by to visit Neil Johnson in the heart of vendors row and see if the Dolins Group can assist you with your needs. Kyle Perkovich and Tresor Du Perron in the $5,000 SJHOF Jumper Classic. Another Red Coat Farm rider working on a win all week was 15-year-old Kyle Perkovich, Long Grove, Illinois, and Tresor Du Perron, owned by Perkovich's mother, Brenda Perkovich. 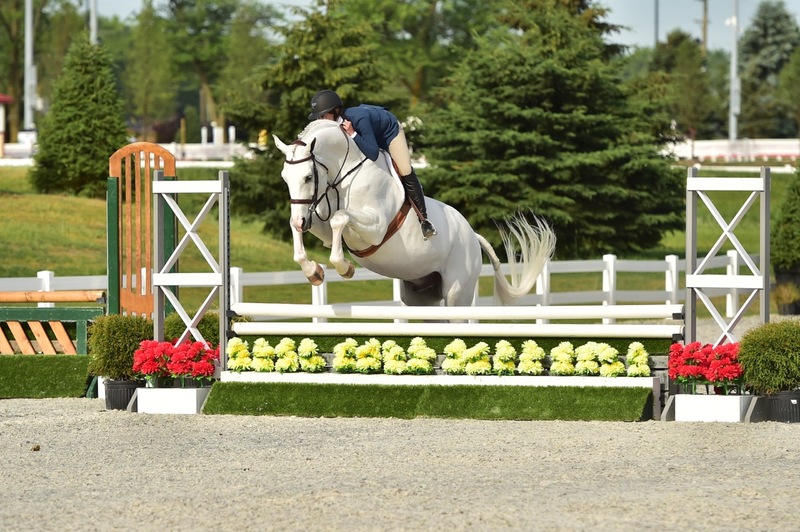 The pair topped the leader board in the $5,000 SJHOF Junior/Amateur Jumper Classic. Brenda purchased the horse for her son recently from Kyle Timm and the new duo have been getting to know each other. In May, Kyle won the GhoDho U25 class at the Showplace Spring Classic. "He is an amazing horse!" exclaimed Kyle. "As soon as I sat on him I knew he was the one. It's awesome to win! I want to thank my trainers, Mary and Lisa Goldman, my parents and Kyle Timm for letting me try the horse. We've been getting along well and he's starting to settle into our program. I look forward to showing more here at Balmoral, it's an awesome experience." Kristen Franz and Cypress with trainer Liz Atkins in the winner's circle for the win in the $5,000 NAL Junior Amateur Jumper Classic. Photo Andrew Ryback Photography. 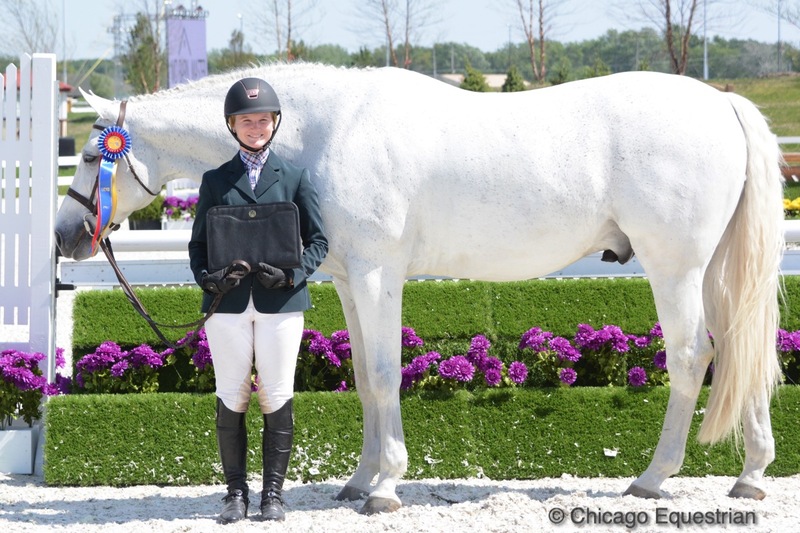 Kristen Franz, 16, Wheaton, Illinois, and Cypress were the winners in the $5,000 NAL Junior Amateur Jumper Classic. Franz rides with trainer Liz Atkins at Benchmark Stables in Hampshire, Illinois. Franz and Cypress have been working hard and getting more serious about competition. She hopes to be her trainer's shadow this summer and spend more hands-on time in the barn. She is considering trying home schooling next year so she can spend more time in the barn. Franz won the individual gold medal in the 2016 USHJA Children's Jumper Championships Zones 5 and 6. "We've been working really hard. Everything is finally starting to click," said Franz. "We're working better as a team. He's helping me and I'm helping him. I really want to thank my trainer, Liz [Atkins], she does an amazing job. I also want to thank Diane Carney for all of her help and my parents for supporting me. I couldn't do it without the team, the grooms and everyone at Benchmark Stables." Clara Ciancuillo and Nicholas with trainer Doug Boyd win the $1,500 NAL Child/Adult Jumper Classic. Photo Andrew Ryback Photography. Another big winner in the grand prix ring ending the week was Nicholas and Clara Ciancuillo of Chicago, who earned the blue ribbon in the $1,500 NAL Child/Adult Jumper Classic. Ciancuillo rides with trainer Doug Boyd at their Sapphire Riding Academy in Mettawa, Illinois. Nicholas is a seasoned jumper and a favorite around the barn. Ciancuillo also rode Secretive, to the High Child/Adult Championship. Maggie Bresch and Keepen Posted speed to the win in the $500 Low Child/Adult Jumper Classic. Photo Andrew Ryback Photography. 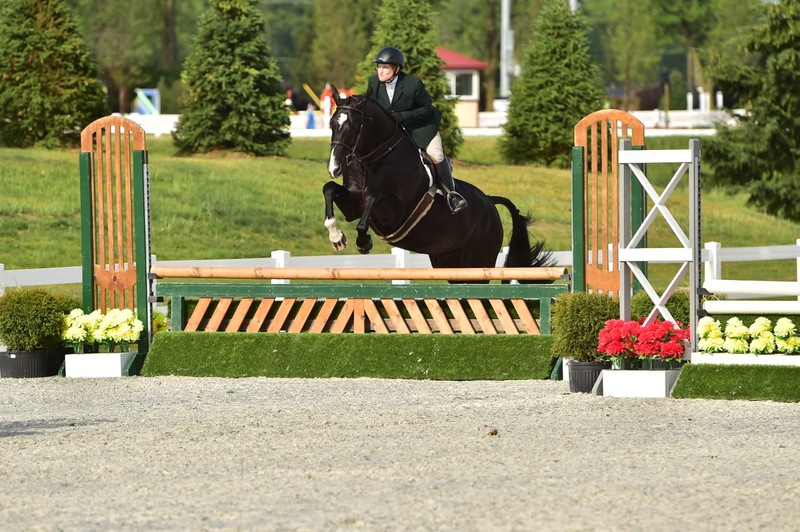 Maggie Bresch rode to the win in the $500 Low Child/Adult Jumper Classic on Mint Hill Farm's Keepen Posted. 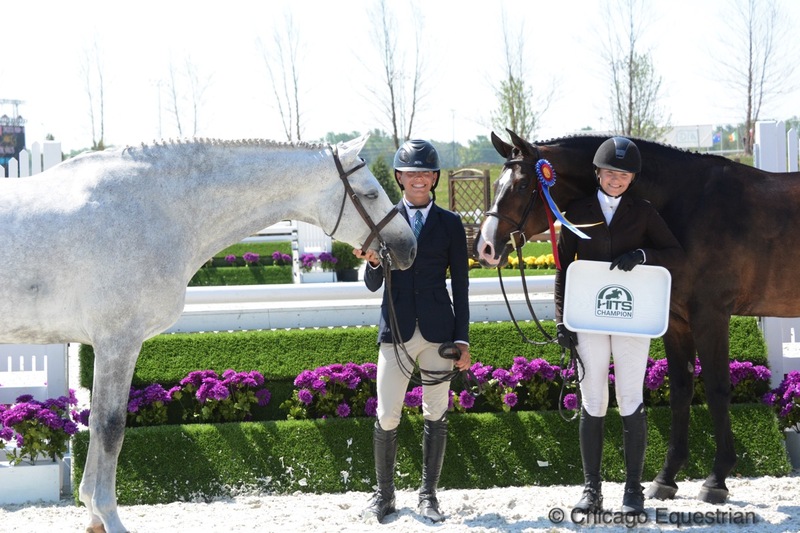 Gia Rinaldi took the 3'6" Junior Hunter Championship with Calido's Son (right) and Reserve with Frosted Blue. 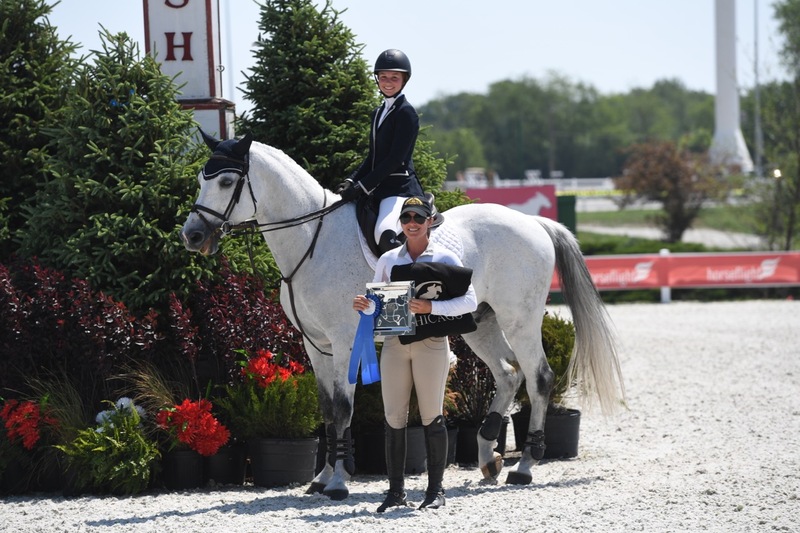 In the hunter rings, junior rider Gia Rinaldi stole the show earning the championship in the 3'6" Junior Hunters on Mimi Rothman's Calido's Son and the reserve championship with Alex Jayne's Frosted Blue. Rinaldi also won the $1,000 Junior Hunter Classic with Calido's Son. 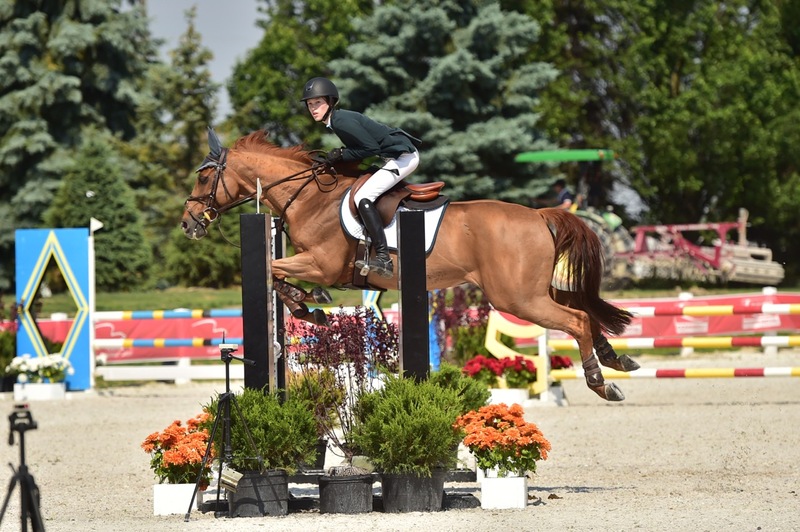 Erin Cummins and Seven won the 3'3" Junior Hunter Championship. In the 3'3" Junior Hunters it was Erin Cummins who took home the championship with Seven, owned by Thinks Like A Horse. Champion in the Adult Hunters 18-35, Astaire and Jessica Ianello Brosche. Photo Andrew Ryback Photography. In the Adult Hunter Division 18-35 the champion was Astaire with Jessica Ianello Brosche in the tack. Taking the 36 & over section was Leslie Richman with The Boy Friend. Both riders train with Scott and Josey Gentry and the HBG Equine team. 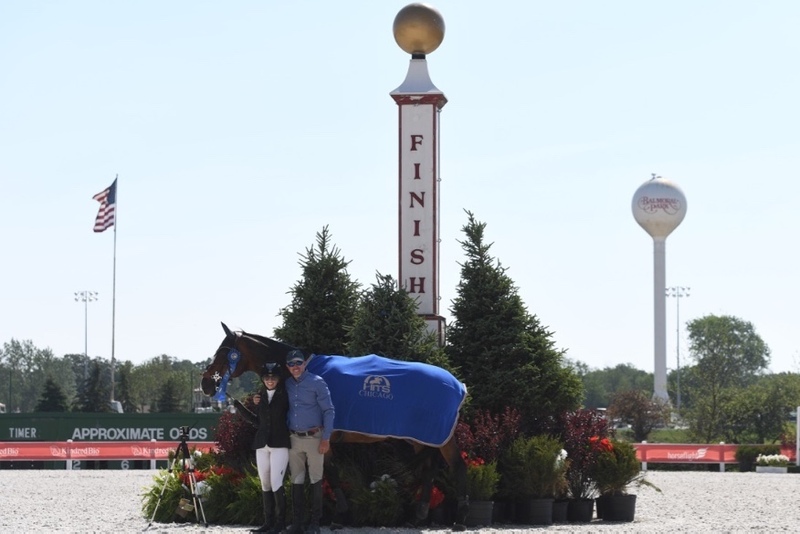 Leslie Richman and The Boy Friend rode to the championship in the Adult Hunters 36 & over. Photo Andrew Ryback Photography. 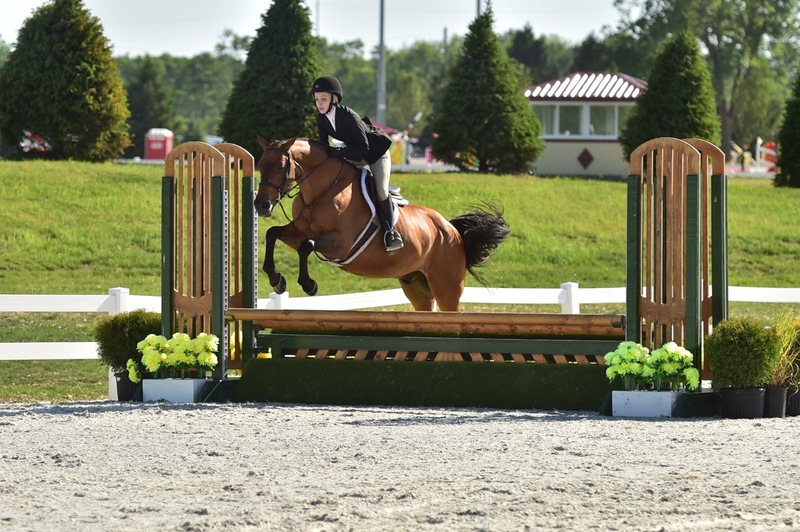 Maddie Thatcher rode Pony Lane Farm's Summer Place to the Amateur Owner Hunter Championship. 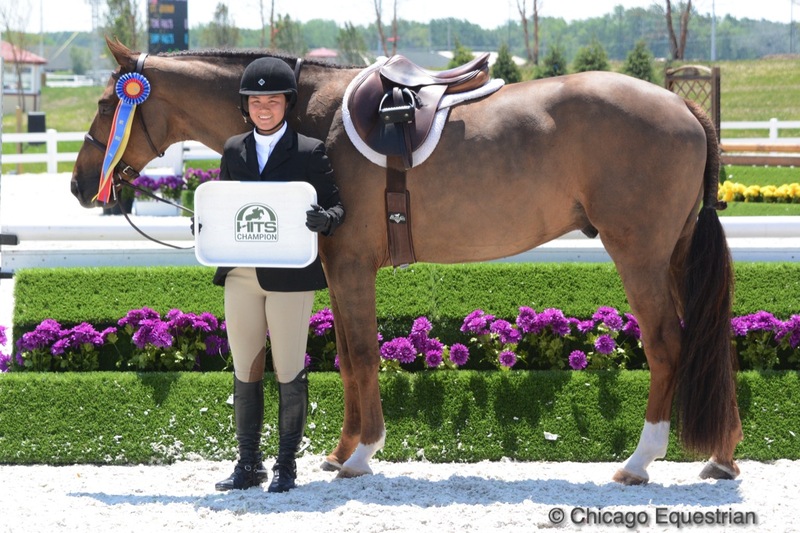 Maddie Thatcher and Pony Lane Farm's Summer Place won the Amateur Owner Hunter Championship. Summer Place is no stranger to the winner's circle with numerous hunter championships on his resume. Since winning in the First Year Greens as a five year old, the mount has visited the junior hunter divisions and now finds his spot in the amateur owner division. Chloe Watrous won the $1,000 Perfect Prep Pony Classic aboard Crystal Acres Chocolatier. Chloe Watrous and Crystal Acres Chocolatier win the Pony Classic. Andrew Ryback Photography. Claire Leopold and Langdon Street won the $500 Novice Children's Hunter Classic. Andrew Ryback Photography. Claire Leopold and Margaret Papka's Langdon Street won the $500 Novice Children's Hunter Classic. Leopold rode the seasoned veteran to top ribbons throughout the division including an over fences win. Leopold rides with R&R Farms and trainers Rhonda and Rene Arza in Hawthorn Woods, Illinois. HITS founder Tom Struzzieri and Showplace Productions' President Pat Boyle did the honors in the ribbon cutting ceremony. 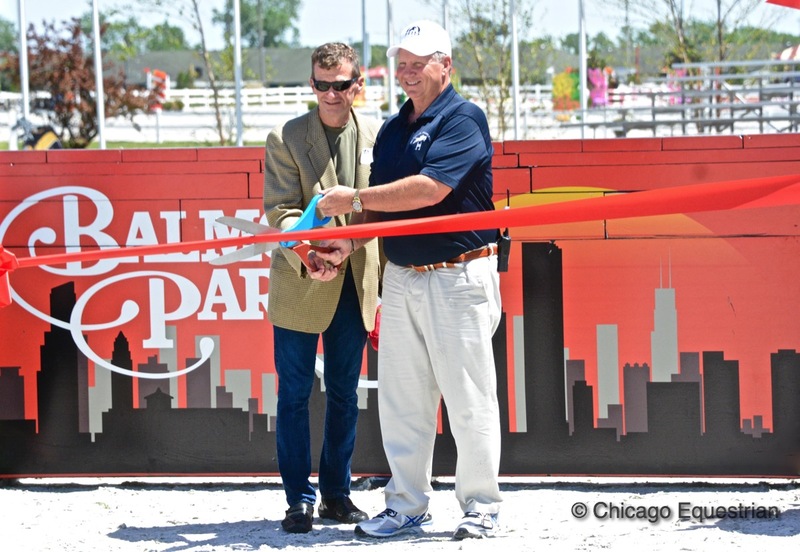 The grand opening week included a ribbon cutting ceremony on Saturday to celebrate the re-opening of the historic race track. Showplace Spring Spectacular continues competition on Tuesday and runs until June 25th. Derby Day is Tuesday June 20th. Contact Showplace Productions for VIP seating reservations. For prize list, reservations and schedule visit www.ShowplaceProductions.com. 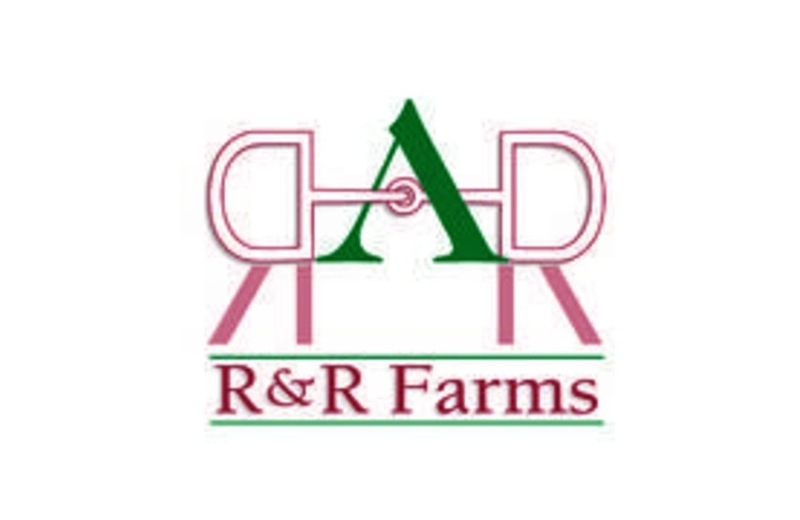 R&R Farms is a boutique style equestrian business providing riding lessons, training and sales in a small and workable atmosphere. 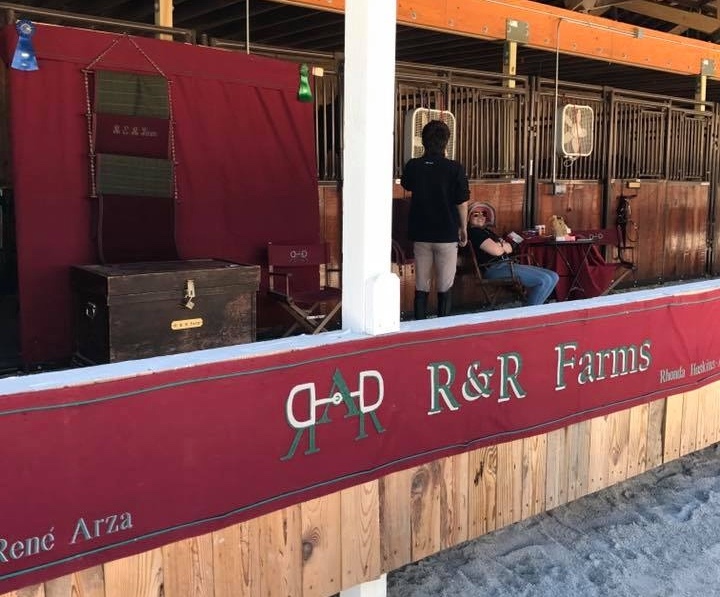 Trainers Rhonda and Rene Arza provide a balance between training at home and horse showing for a private and custom experience tailored to every individual's needs. Their facility offers amenities for the comfort of both horse and rider with quiet and private surroundings. R&R Farms' newly remodeled facility in Hawthorn Woods features 12 x 12 rubber matted stalls, heated 80' x 200' indoor arena, a 120' x 200' outdoor arena, two wash racks with hot and cold water, heated tack room with individual lockers, laundry facilities, and a heated feed room. Outside turnout areas consist of 2 large grass pastures, 5 smaller individual turnouts and 12 limestone based all-weather paddocks. High quality hay is stored in a separate, climate controlled storage building. They are located at Forward Stride Stables in Hawthorn Woods, Illinois. Call to schedule your private tour.